Guwahati: The Centre will invest around Rs 1,000 crore to set up a 750-bedded All India Institute of Medical Sciences in Assam, the land for which was handed over by the state government. “The AIIMS in Assam will be a 750-bedded hospital. We have got the land today from the state government. Now once the Union Cabinet approves the plan, we will start work,” Union Health and Family Welfare Additional Secretary Arun Kumar Panda told PTI here. 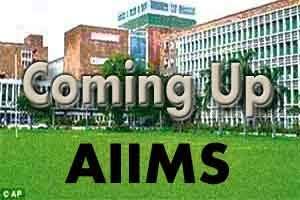 The AIIMS, to be set up in Kamrup district, will house 18 super-speciality departments, he said. Assam Chief Minister Sarbananda Sonowal today handed over to Panda more than 571 acres of government land at Changsari area of Kamrup district. “This is a historic day for people of Assam as a long- pending dream is about to come true. People have struggled a lot democratically for this institute in the state,” Sonowal said at the function. With setting up of the AIIMS in the state, Assam will now figure in the the list of healthcare destinations of the country, he said. He also said the state government will work towards giving better healthcare facilities to hill districts and Barak Valley in future.